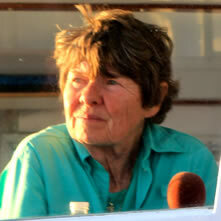 Island Cruises is managed by Captain Sue Reynolds. Sue has spent her life in seacoast New Hampshire nurturing a deep appreciation for the ocean environment. She’s sailed the Atlantic seaboard from the Bahamas to New Brunswick. She has an extensive background in both sail and power boats. For nearly 40 years Sue taught in a coastal New Hampshire community, retiring in June 2006. She has brought her love of the ocean, local history and nature to the many students in her classes. Sue’s teaching experience spans from Early Childhood to Middle School to Adult Education. Most recently, Sue was a middle school science teacher. As a seventh grade teacher Sue also taught service learning and is the founder of Lighthouse Kids, a student project to save White Island Lighthouse at the Isles of Shoals. Sue continues to communicate her love of the ocean, history and nature through her narration and demonstration aboard the M/V Uncle Oscar. 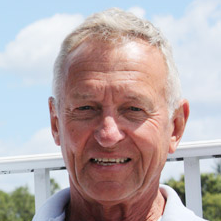 Captain Tom is a native of Portsmouth New Hampshire with thirty years experience in local waters. He is an enthusiastic student of Shoals lore and history. 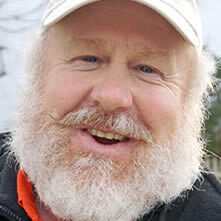 Plus, he’s extremely familiar with seacoast New Hampshire’s natural history and wildlife.